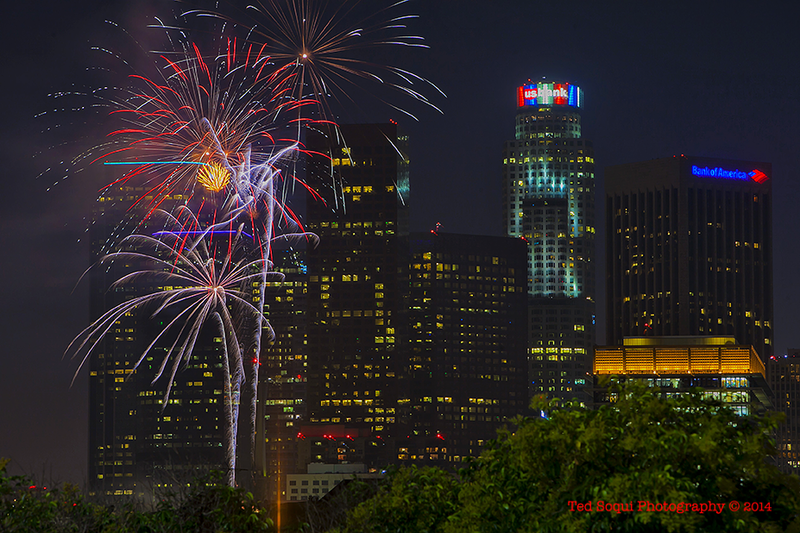 Fireworks over downtown Los Angeles viewed from a hill in Chinatown. Emerson College Building on Sunset Blvd. Stolen Tesla Wreck on La Brea Ave.